JNTUA 0.15% Adjustment of marks for UG Students admitted under R13 Regulations: Several students admitted under R13 regulations have represented for 0.15% adjustment of marks from the final semester subjects/project work and added to the failed theory subjects. A maximum of 0.15% of total marks allotted to all the theory subjects in the program may be adjusted from the theory subjects passed in final year and/ or from project work, and added to the maximum of two failed subjects , if the status of those two subjects changes from fail to pass otherwise the previous status remains the same. 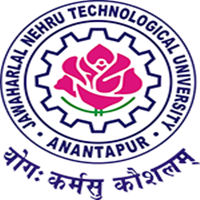 This is humble request to JNTUA to provide grace marks to us also because many of us suffering a lot of this issue, is this right for you? Is this justice? We also belonging to r13 regulation only so please provide us grace marks so that many of students get degrees to their bright future.this is a humble request , please justice us. Or else it's better that we will die in front of JNTUA and sir you are the responsible for that.